Killer Mike and El-P at the Crystal Ballroom. Image: Henry Cromett. 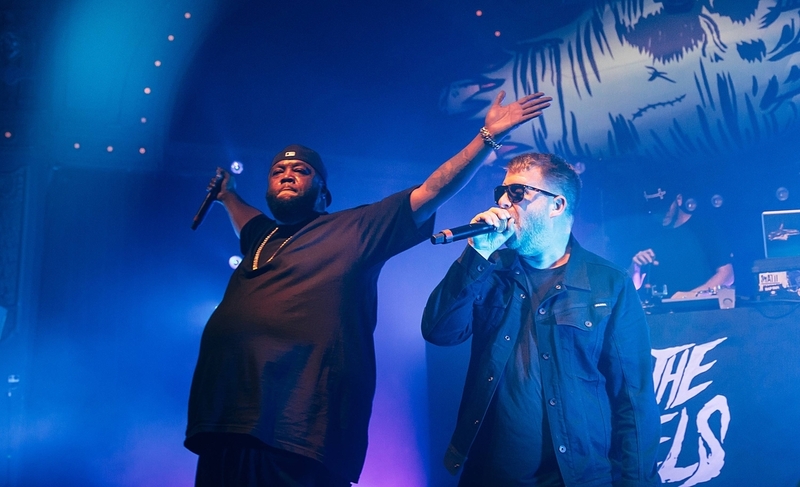 At the Crystal Ballroom on Feb. 6, Run The Jewels’ Killer Mike and El-P delivered an early contender for concert of the year, marching through an indefatigable 70-minute set in delirious lockstep with a riveted Crystal Ballroom crowd. There was no one song, no one moment, no one star. Reflecting the pair’s power-to-the-people politics, their approach was balanced: El-P’s dextrous, sinewy beats under a flurry of turntable scratching from DJ Trackstar; Killer Mike’s velvety, virtuosic, Hennessey-laced flow; the constant call-and-response between rappers and crowd. To read the full article, click here: wweek.com.